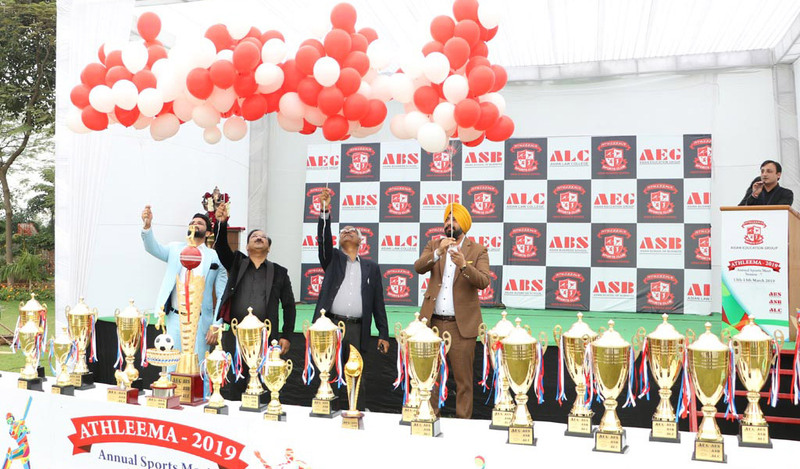 Asian School of Business / News & Events / Campus Updates / AEG Asian School of Business’s 7th annual sports meet, ATHLEEMA 2019 witnesses a grand inauguration! 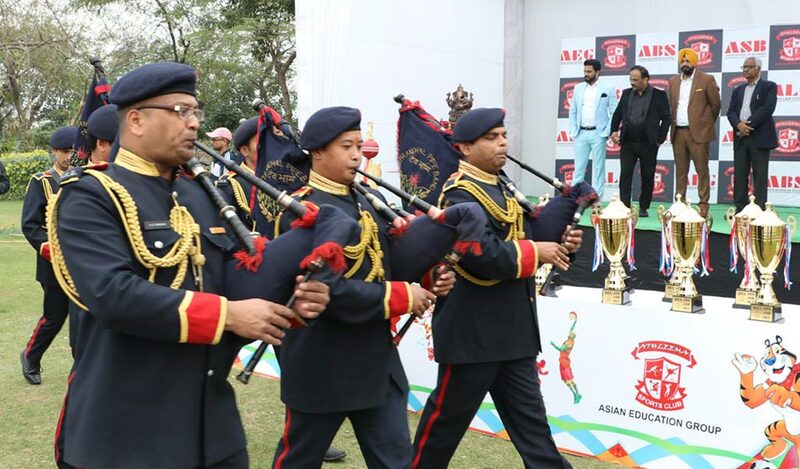 Asian Education Group (AEG) held its renowned annual inter-college sports meet – ATHLEEMA 2019-Season 7 – from 13th to 15th March 2019 at the grand Jasola Sports Complex, New Delhi with its traditional punch of discipline, excitement and grandeur. The inaugural function of ATHLEEMA 2019-Season 7 was a very power packed affair and it took place on Wednesday, 13th March 2019. 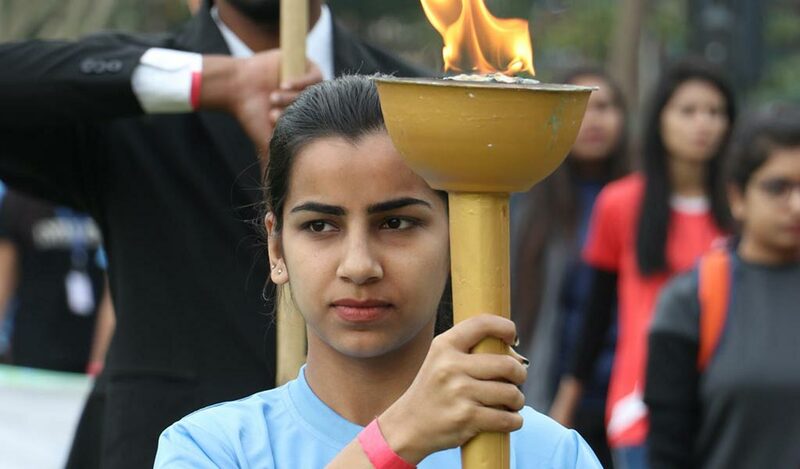 The sports meet started with the contagious zest among the participants and spectators along with Asian School of Business’s BBA and BCA students. The opening ceremony commenced with the torch-lighting ceremony, ignited by the respected Directors of AEG. This marked the permission for the march-past. An impressive line-up of some 35 participating colleges showed their co-ordination, spirit and a strive for perfection. This included Asian School of Business along with the other two constituent group colleges of Asian Education Group – namely, Asian Law College (ALC) & Asian Business School (ABS) – which actively participated in this high-pitch athletics’ meet. 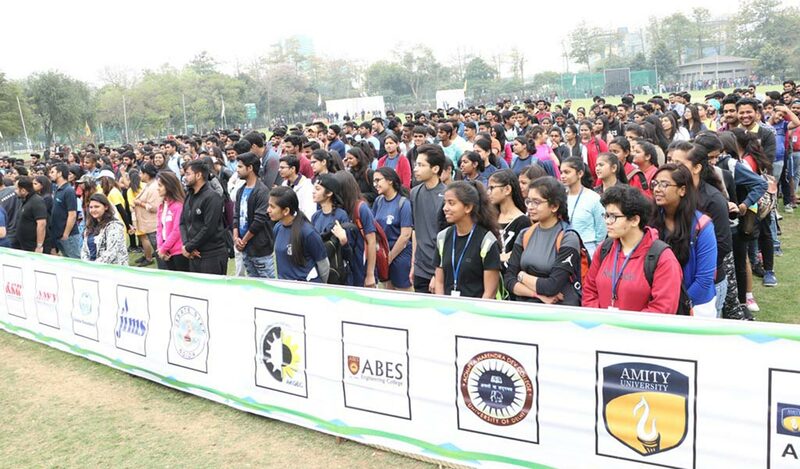 As the ATHLEEMA-Season 7 was dedicated to the martyrs of the recent ‘Pulwama attack’, the meet observed two-minute silence to commemorate the martyrs. This was then followed by the lamp-lighting ceremony – construed as a metaphor for brightness, positivity and the good spirits! After this, the esteemed Directors of AEG inspired the team for the level-up. While Dr. Lalitya Vir Srivastava (Director, AEG) inspired the participants with his encouraging speech, Mr. Saurabh Sharma (Director, AEG) motivated the participants to inculcate the sportsmanship not just on the ground but also in their personal lives. Again, Mr. Gurdeep Singh Raina (Director, AEG) fostered the participants’ energy and Dr. Saleem Akhtar (Director, ALC) evoked the students to be true and honest in their actions. This was then followed by the respectful singing of our national anthem, serving as an important identity and unifying factor as a country. Post this function, the Directors inaugurated the individual events at their respective venues.